North Carolina’s fishing resources generate millions of dollars a year, and many come to the beach to enjoy what they believe is freshly caught seafood that comes from local docks to the seafood market or a restaurant table. But much of it is not local. Snow crab, king crab, the vast majority of shrimp and scallops, as well as flounder and other lesser-known delicacies are more often than not brought in from other states and foreign countries. While some state government agencies spend tax dollars urging people to consume North Carolina seafood, other departments and even elected officials are exerting efforts in the opposite direction, essentially making it increasingly difficult for commercial fishermen to harvest local seafood. Making the problem even more complex, the machinery of state government has chosen to view the allocation of finfish and shellfish as a resource to be divided between two groups: recreational anglers and commercial fishermen. Left out of the equation are the consumers of seafood, restaurants, seafood markets, grocery stores and just about anyone else who does not harvest fish by their own hand. Over a year ago, the Voice was asked to look into how North Carolina manages it fisheries. When we began, we had no opinions and knew little of the politics behind the control of fisheries and the right to harvest these resources. But it soon became apparent that one Rhode Island-sized interest group, in terms of membership, is exerting a Texas-sized influence over a powerful part of the General Assembly, as well as regulatory agencies. In North Carolina, fisheries are managed by the Marine Fisheries Commission (MFC), a nine-member panel, each an appointee chosen by the governor. In turn, the Division of Marine Fisheries (DMF) implements and enforces the policies set forth by the commission. DMF itself is a division of the Department of Environment and Natural Resources (DENR). Additionally, all of the groups work with and answer to federally created regional groups along the Atlantic and Gulf coasts in order to manage the entire stock of fish migrating from Maine to Texas. The result is a complex set of quotas, rules and other measures that start at federal and regional levels and work their way down to state-level management. This patchwork of overlapping regulatory entities creates a perfect storm for politics to enter the process, often at the expense of science, which itself is also subject to political meddling. At the federal and regional level, states compete against one another for their share of assigned quotas for various species of fish. And, at all levels, commercial and recreational anglers compete to divide their share of each quota. In North Carolina, this competition between commercial and recreational anglers has resulted in some intense and high stakes battles between the two sides. And we found the battles often take place outside of the public eye. Who seems to be fighting who? Our research revealed two significant flaws in how fisheries are managed in this state and most others, flaws that fail to include all users of fishery resources and therefore improperly define the user and end user groups. Start with how North Carolina regulates fishery resources within its own borders. Enabling legislation directs the Marine Fisheries Commission to “manage, restore, develop, cultivate, protect and regulate the marine and estuarine resources within its jurisdiction” and implement laws and management measures in pursuit of their mandate. But the current structure of the board raises questions about whether that mandate can ever be met. The nine-member panel has three slots reserved for recreational interests and three for commercial. Rounding out the membership are two at-large seats and one seat reserved for a scientist with marine resources expertise. Politics can easily enter into the process if one side controls both at-large seats, thus gaining a five-person simple majority. Until June 30, when the term expired of at-large member Anna Beckwith, the two current at-large members have demonstrated a bias toward recreational interests. That has been evident in the backing by MFC members of policies endorsed by the Coastal Conservation Association (CCA), such as a Joint Enforcement Agreement with federal authorities and requiring charter boat captains to keep logs of where they catch fish. 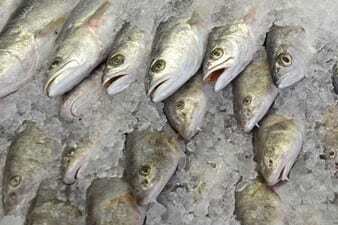 It has also been underscored by the attempted designation of certain species as off limits to commercial harvest and even sale, including massive proposed restrictions on the harvest of shrimp, flounder and trout. The other problem with the panel’s current makeup suggests that the public at large is being shortchanged and underrepresented in fisheries regulation. Since both commercial and recreational interests actually catch fish, the “fair regulation” argument and the composition of the MFC membership appears split into two narrow competing groups — those who catch fish for sport and personal consumption and those who harvest fish for commercial profit. As a result, commercial fishermen do not represent merely their small numbers. They represent, by proxy, all of the rest of the public who consume fish they cannot catch for themselves. Those of us who order fin and shellfish from restaurant menus, or buy fish from grocery stores and fish markets, have no representation on the MFC. So it can be argued that where the Coastal Conservation Association is concerned, this much larger group of consumers simply doesn’t exist, especially those who want species not typically available outside of commercial fishing communities. The CCA is why, for example, wild blackened redfish (called red drum in North Carolina) is no longer available on New Orleans menus. New Orleans made blackened fish, especially redfish, famous across the country. If you love rockfish, be prepared to catch it on your own. If the CCA ever wins its battle, wild rockfish will never again be sold or served in North Carolina restaurants or seafood markets and grocery stores. The CCA long ago succeeded in banning commercial harvest and retail sale of redfish in Louisiana, leaving the less nutritious and even less tasty farm-raised version as the only option for those who don’t catch redfish recreationally. It was blackened Louisiana redfish that put redfish and the spicy art of serving it blackened on the national map. In the Big Easy, wild redfish is no longer on the menu. And it is why the rest of us, including the occasional weekend recreational angler, should be concerned about the CCA’s political influence. In part 2, we look at the Coastal Conservation Association and its influence on the Marine Fisheries Commission, as well as its role with particularly one, and perhaps both, at-large seats on the commission.